Do you have a high pain tolerance? Can you roll with the punches? Do you have time on your side? Pursuing a short sale may be of interest to you. We have had many clients who have scored big with a short sale purchase. These are very complex transactions. We do a great consultation specifically on buying a short sale. Call us at 801-360-8946 to schedule some one on one time! "Property is sold in as-is condition. Property is in poor condition. Seller does not warrant the condition of the property. No repairs will be done by seller on property. 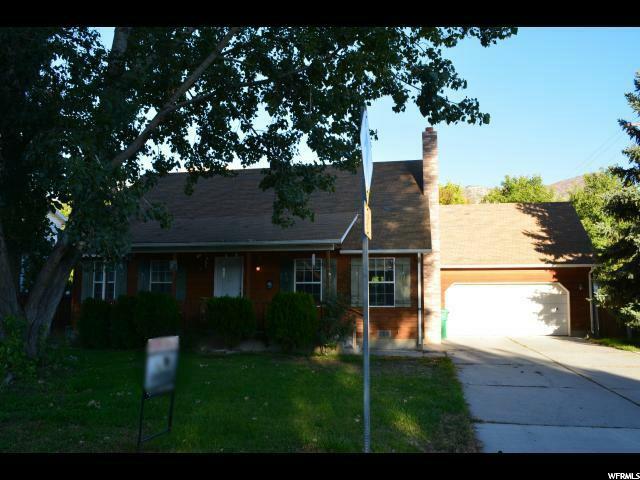 This is a short sale with an offer currently under review by the lender." "This is a short sale. No blind offers. The home is located in a nice neighborhood. It has 3 bedrooms, 1 1/2 bath. The home is being sold as is. No repairs will be made. For information and showing instructions, please text Lynnette Ivins. All offers must include a buyer pre-approval/proof of funds and a short sale addendum. Square footage figures are provided as a courtesy estimate only and were obtained from Utah County Records. Buyer is advised to obtain an independent measurement." "INCREDIBLE TOWNHOME!! Why wait when you can build. Now's your perfect opportunity to get an almost brand new place you can call home. This home features a massive island/kitchen with a cute array of colors and spacious feel. You'll fall in love with the master suite which boasts a separate tub and shower, walk-in closet and large vanity. Call to set up an appointment today. " 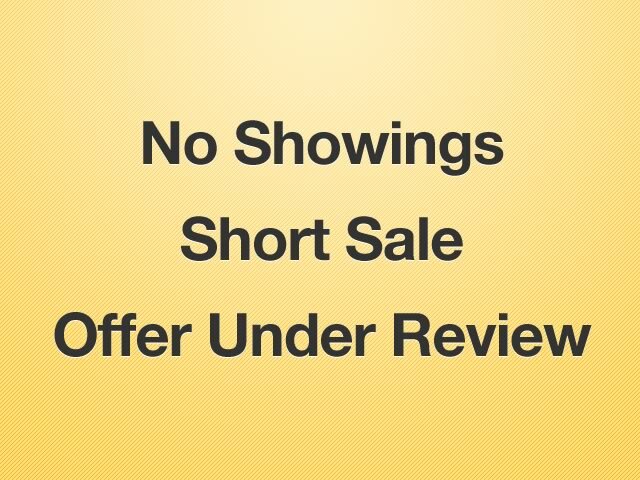 "SHORT SALE. OFFER UNDER THIRD PARTY REVIEW. NO FURTHER SHOWINGS AT THIS TIME. Located in the Provo river bottoms close to the Provo River Trail. There is a pool in the fully fenced back yard. The master suite is on the main floor. Upstairs there are three bedrooms and another family room or den. The home could use some updating and a little catching up on some deferred maintenance. The pool hasn't been used for some time, but with some work it would make for some fun backyard parties. " "Great Opportunity! 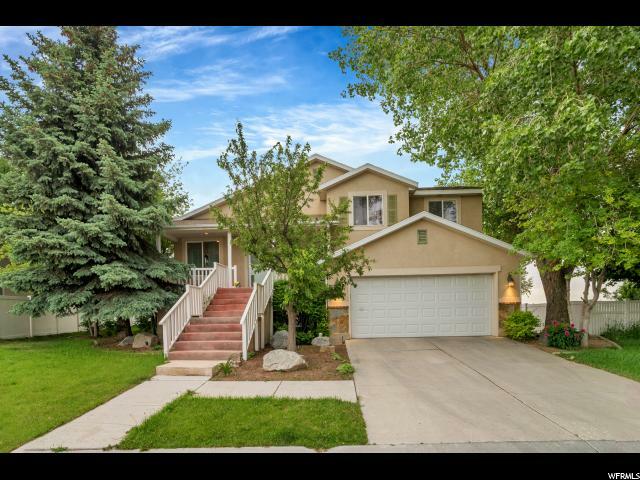 Home with a beautiful open layout, granite kitchen countertops, with green, large partially fenced backyard. HOA activities. 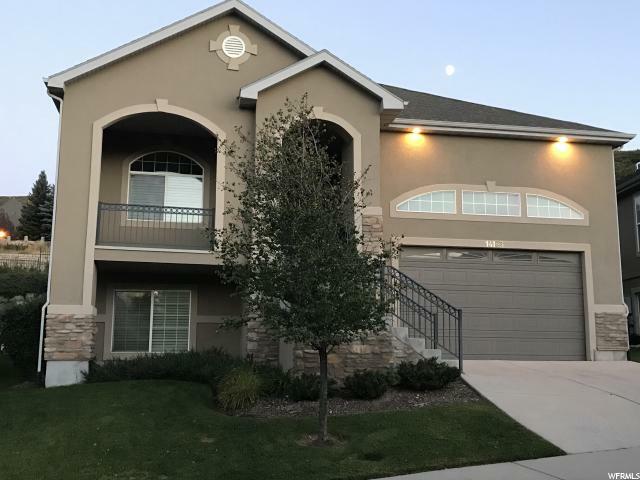 Located east of Redwood Road the community offers two clubhouses, pools and only a 6-minute walk to the Saratoga Springs Park and Pavilion and Private Marina. Just down the road from a private golf club and year-round hot springs. Square footage figures are provided as a courtesy estimate only and were obtained from County Tax Data. Buyer is advised to obtain an independent measurement. " "Yes, that is correct! 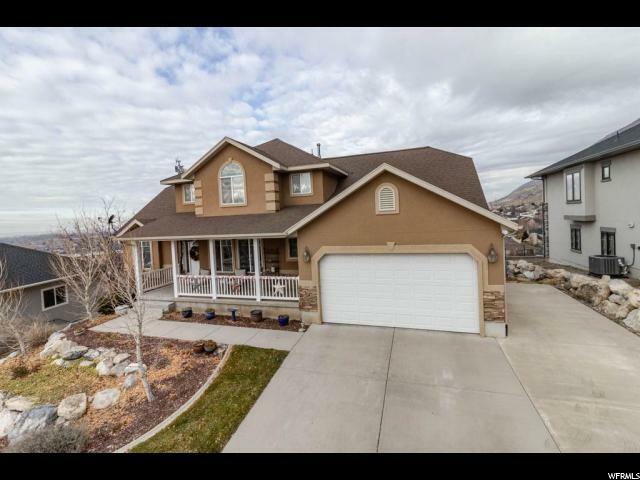 A Twin Home with a 2 car garage, a HUGE quarter acre lot AND an approved Mother In Law Basement with Entrance! Along with Solar Panels! Dream Come True!!! 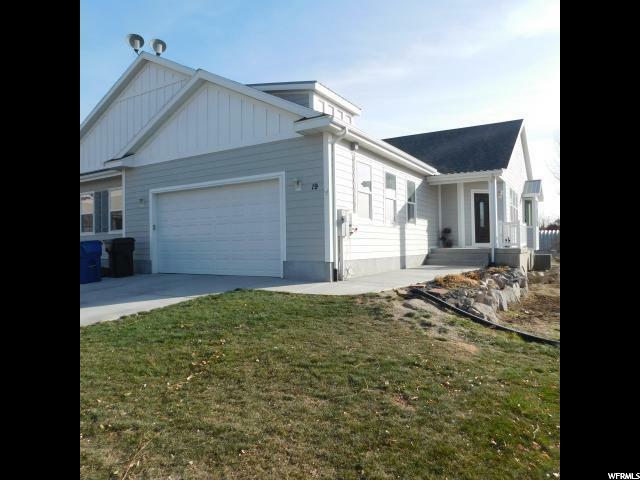 This Rambler has an open concept floorplan with awesome kitchen! Stainless Steel, Quartz throughout! Walk in Master Closet and Seperate Tub and Shower! Nestled in a quiet cul-de-sac in the Heart of PG! Don't miss this one! Buyer/Broker to verify all!" "Quailhill at Mt. Saratoga is a fantastic community featuring single family homes, townhomes, and condos. Mt. Saratoga is a master-planned community that will feature future parks, trails, and open space. 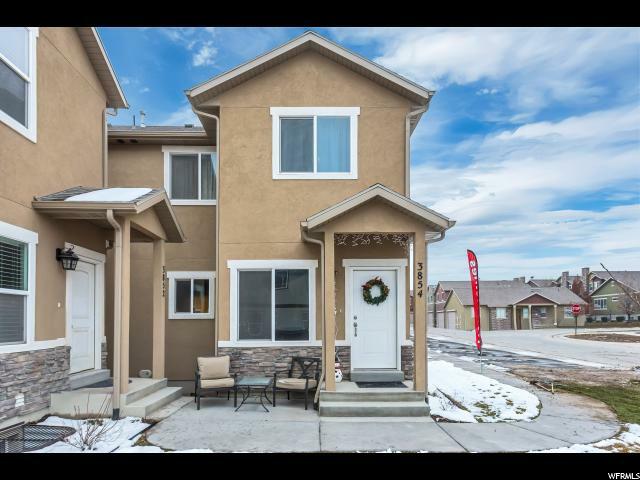 Quailhill is in close proximity to Utah Lake, The Ranches Golf Club, stores, and restaurants. Easy access to Pioneer Crossing also allows for an easy commute. LAUREN FLOOR PLAN." "Perfect second home or enjoy maintenance free living! This lovely home has not been lived in full time, so wonderful condition! Second bedroom on main is possible, however has been used as a formal living room and den. Extra large bedrooms up and down. Upgraded Kitchen and bathrooms. The owner will give a flooring allowance with an accepted offer for replacing the flooring for buyer to customize. Seller is willing to entertain offers for furnishings so you can move right in. High bench location is above inversion but close to amenities and all the hiking trails! Seller had original plans expanded to use as much of the lot as possible. 10 ft ceilings through out. No expense spared when the home was built! Schedule your tour today. Easy to show. Gated community. Call agent for code. Hoa takes care of yard, snow removal of porch steps and driveway; clubhouse, pool and exercise room."